In what has been a momentous week for cricket in India, I, like billions of others, have spent the last four days scouring the internet for feel good quotes about one Mr Sachin Ramesh Tendulkar. In fact, India’s news channel NDTV had a section titled “what the western media has to say about Sachin”. Looking for validation? Nah! “My heart stopped beating when I heard the news of His retirement” – this is from the Indian actor, Amitabh Bacchan or Big B as he is called, keen to have a slice of the action. Is this connected in any way to biryanis, you ask. Of course not. Just thought I would tell you what I have been up to over the last few days. 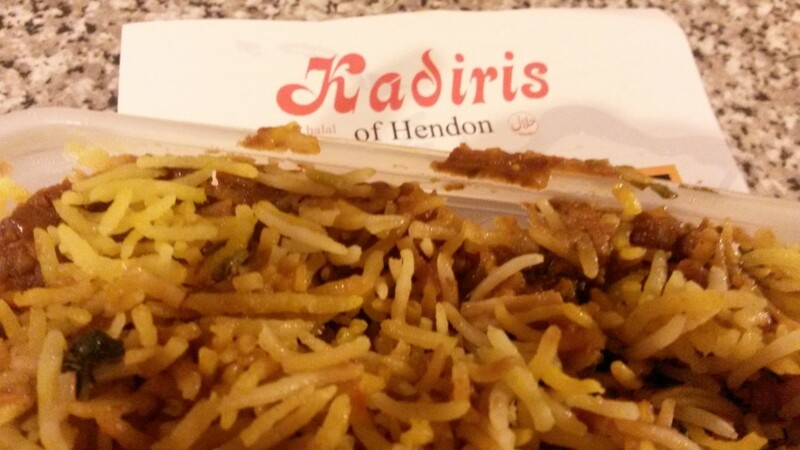 But there is a point you see – I did my SRT research over some great vegetarian biryani from my new love - Kadiris of Hendon. And how was it? Well, not as absolutely perfect in every way as their chicken biryani, but a superb effort. And what’s more it had potatoes! Husband was a bit uncharitable and said that it looks like they might use left over vegetable sabjis as the base for this biryani – but the unanimous decision from the rest of us was actually we don’t really care. Potatoes – Yes, yes, yes! And now to round things up nicely and go back to SRT – my intensive research has revealed that he is very partial to seafood. So perhaps we should invite him to try Kadiris’ fish biryani? It’s available only for Thursdays though! This entry was posted in Biryani and tagged biryani, Indian food, Indian takeaway, Indian takeway, Indian veg biryani, Indian vegetables, Kadiris of Hendon, veg biryani from Kadiris of Hendon by Poornima. Bookmark the permalink.